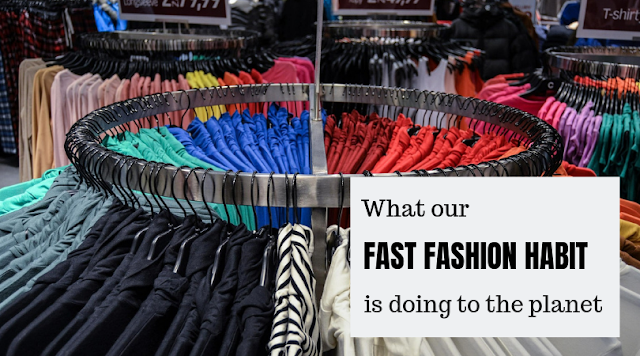 Sometimes I am sure you have all had that feeling that your efforts to reduce your impact on the environment via your shopping choices just don't make any significant difference. 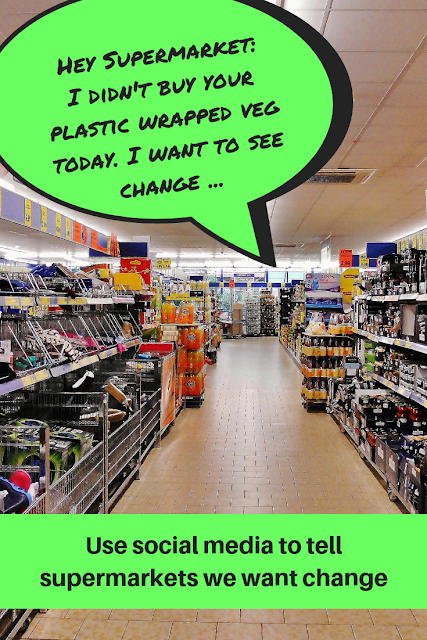 Will buying one less plastic wrapped swede from a large supermarket chain actually make any significant difference to global plastic pollution levels? Will the supermarket even notice? Will the supermarket even notice? This may well be a no ... unless you let them know. And if you let them know publicly via social media it can have far more of an impact. You will be ensuring the supermarket is aware of practices you want them to change and your message will get to a larger number of other customers. It is the ripple effect in action. You may find you only get a standard corporate answer or you may get a more personalised reply. Either way the supermarket knows your views and the more people that contact them the more likely they are to implement change. 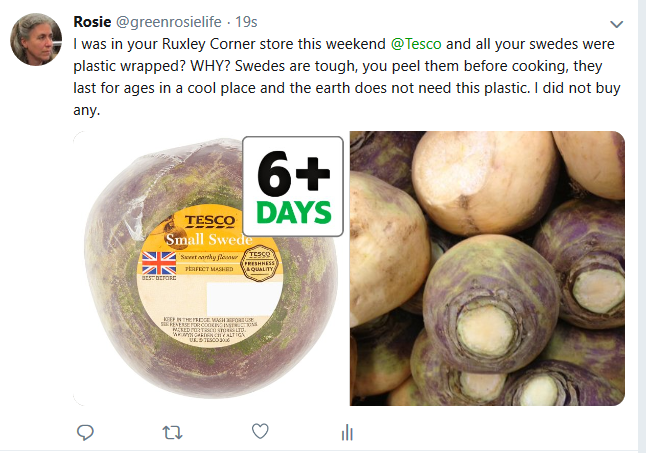 I have just tweeted this and tagged Tesco because nobody needs plastic wrapped swedes. I am waiting to see their response. To make contacting the main UK supermarkets even easier for you, here are links to their social media accounts. You can then either write/comment on their pages or tag them in your own posts. And remember, it's not just the negative stuff - give them a shout-out when they make positive environmental changes too. 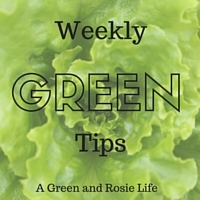 Have you contacted a supermarket about a green issue? How did they react? Will you start now? Please do let me know how you get on. This makes so much sense, the supermarkets are only going to change once we all start speaking up! This is such an important post, I was aware of the issues but this post is a great help and I will definitely be sharing this information to help spread the word. I was shocked to see veg in plastic wrapping when I clicked on your post! I always buy from my local fruit n veg shop so they're all just sitting in a box with no wrapping when I walk in. Supermarkets definitely need to change their ways!